Home › Best-Sellers › Young Living Essential Oils Labels - Complete Set - Includes Multiple Young L..
Young Living Essential Oils Labels - Complete Set - Includes Multiple Young L..
OIL & WATER RESISTANT - These glossy Young Living essential oil lid stickers have a special laminate to ensure that the oils or water won't smear the ink or loosen the adhesive. EVERY YOUNG LIVING OIL INCLUDED - This set of 4 sheets totaling 384 Young Living cap stickers includes 191 different essential oils specialty essential oil blends, which is at least 2 stickers for every single Young Living oil available as of 2016. 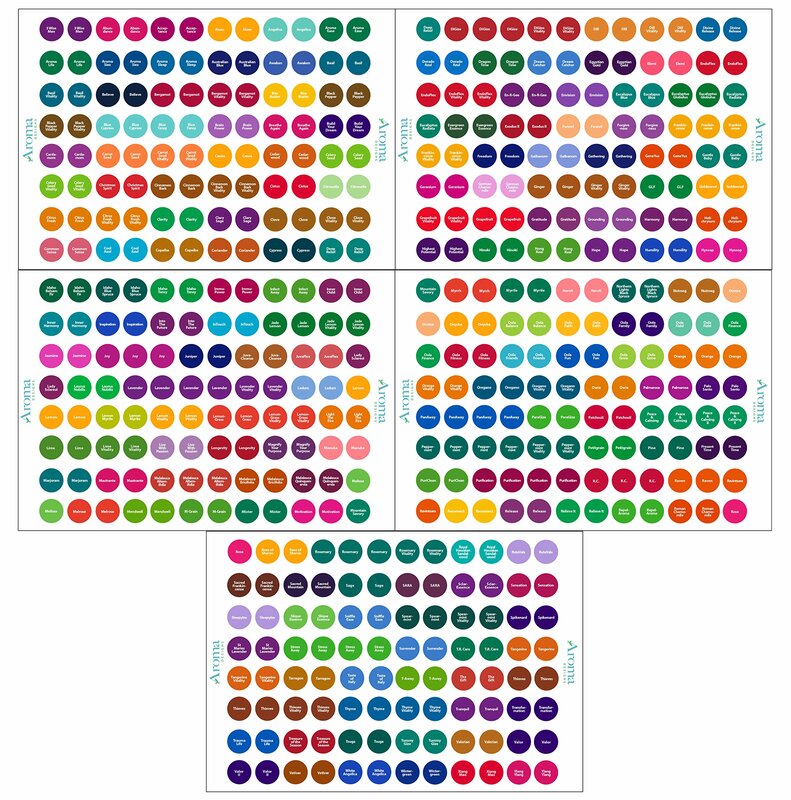 COLOR CODED - This complete set of premium, pre-printed labels is color-coded to match Young Living oils for all available oils and blends, allowing you to easily identify your Young Living essential oils from the bottle or vial lid. Perfect for keeping your oils organized and accessible! DIMENSIONS - 1/2" in Diameter, allowing them to fit on almost every essential oil lid available. Package Quantity:1 Find your oils easily! This complete set of premium, pre-printed labels is color-coded to match Young Living labels for all availableoils and blends. It includes multiple labels for the most popular products.The glossy labels have a special over-laminate to ensure that oils won't smearthe ink or loosen the adhesive. Apply labels to the tops of caps or the sidesof bottles; permanent adhesive keeps them tightly in place! Perfect forkeeping your oils organized and accessible!